We had the pleasure to sit down with some of the minds behind Pokémon X and Y. We recently got to talk with Hironobu Yoshida, Chief Designer at Game Freak on Pokémon X and Y and Junichi Masuda, Viewing Director at Game Freak for Pokémon X and Y about their next work and 3DS debut, Pokémon X and Y. Topics of conversation included Mega Evolutions, Pokémon Snap, Masuda's favorite Pokémon, and some of the new battle mechanics. For the inside information on the new Pokémon games from the creators themselves, read on! Nintendo World Report (NWR): The Pokémon franchise has taken such strides in connecting the world through its games. Where does the online connectivity in the series go from here? Junichi Masuda (JM): This time around since the games are coming out at the same time around the world on October 12, right on the release day, there will be a lot more people on a global scale connecting, battling and trading with each other. Up until now, games that come out in Japan first have a lot of information about them, including story details, up on the internet before international players have a chance to even get a hold of the game. But this time, there is not going to be any information on the internet, so players are going to have to connect and communicate amongst themselves. NWR: Since Pokémon Conquest has gathered such a following and been a pretty big success, are there any other games that you would like to personally bring Pokémon into? Any other crossovers? JM: Not just as someone from Game Freak, but as someone who works on the Pokémon brand, I think we’re always challenging ourselves to try new things and I also feel that, like Pokémon Conquest, there are a lot of possibilities that have yet to be realized. We’re always trying new things, trying to surprise our players and allow them to have quite a bit of fun with the games. There will be further announcements as time goes on. NWR: Since you’re responsible for countless classic tracks from Pokémon, I was wondering if you were planning on continuing writing music for games rather than focus on other things such as directing? JM: In Red and Blue not only did I create all the songs in the game, I also worked on the programming and a variety of other tasks. After I started working as the director, it was really about the desire to focus on my role as director and with each game I created fewer and fewer songs. However, with that said, we have a sound team at Game Freak and the always ask me to create the battle music for the games because they feel that it’s very difficult to keep that distinctive style when it’s not me that’s making it. So this time, in Pokémon X and Y, I did the wild Pokémon battle music, trainer battle music, Gym Leader battle music and Elite Four battle music. But with each game the amount of songs I do definitely is fewer and fewer. NWR: Who are your favorite Pokémon in general and who are your favorite Pokémon in X and Y? If you can’t give us names, can you give us their National Dex numbers so we can figure it out at a later date? JM: Amongst all the Pokémon, some of my favorites are Psyduck, Pichu, Victini; I tend to like the more cute Pokémon. 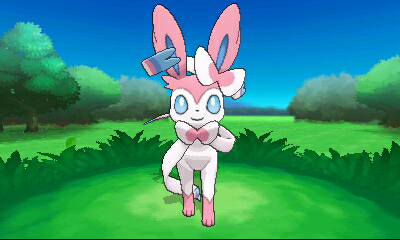 This time, in Pokémon X and Y, my favorite at the moment is Sylveon and the reason for this is that over the course of development I’m always play-testing the game, usually from a variety of perspectives, like in the mindset of a beginner or a young child, and each time I had Sylveon in my party and I just think it’s a cute Pokémon. 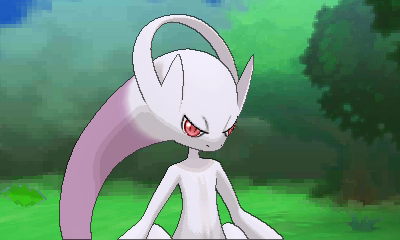 It’s a new Fairy-type and it’s pretty strong in battles too. NWR: Competitive Pokémon battling has had many high barriers to entry. It seems as though you have been trying to lower these barriers with things like Super Training in order to make EV training easier and more visible to the player. However, I still feel the biggest barrier preventing more people from battling competitively is the difficult and necessary task of obtaining Pokémon with perfect IVs. 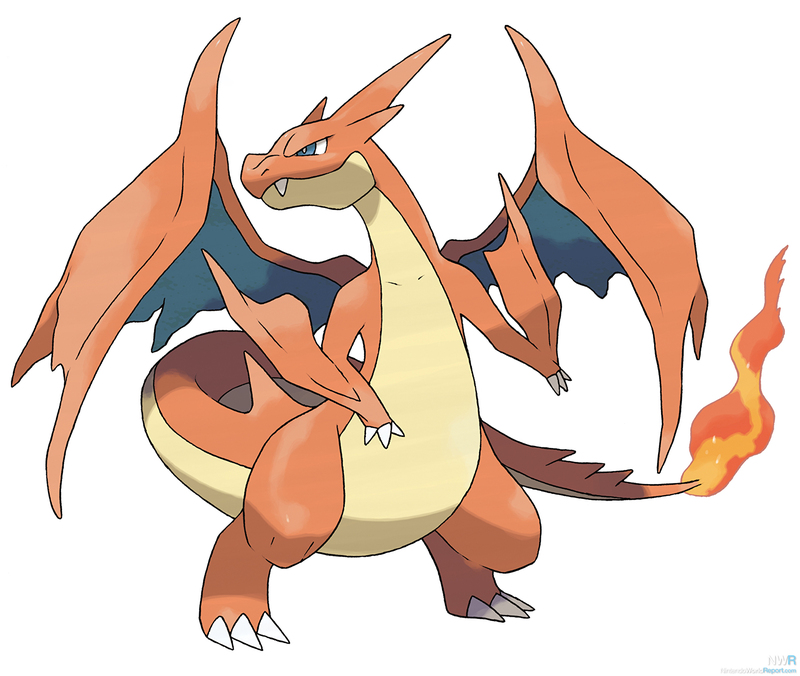 In X and Y will there be a way to alter an already captured Pokémon's IVs? JM: In general in Pokémon X and Y we’ve tried to make it a lot easier to train Pokémon. Of course, with the existing Pokémon and new Pokémon, we have a lot in the game, and we have the philosophy that we want players to be able to use a lot of different Pokémon when they’re battling and can choose which Pokémon they like and use that. Also with the Super Training we made some information more visible and made raising Pokémon a little bit easier. The example I like to use is two siblings and the older brother is always really good at battling and the younger brother keeps losing. With Super Training and being able to do these sports games as an alternative to raising your Pokémon’s stats, it’ll give the younger brother a better chance to be able to compete against his older brother. However, looking at Pokémon as living creatures, we think that it’s important to have differences between them. At competitions, it comes down to a variety of elements, like how you’ve raised your Pokémon, what moves it’s learned, combined and worked into your strategy. I don’t think it would be really that interesting if, like at the Olympics, it was just clones of the exact same competitor. I think all these different combinations of elements, and a little bit of luck as well, come into play in competitions and make them more interesting and exciting. NWR: Where did the idea or inspiration for Mega Pokémon come from? 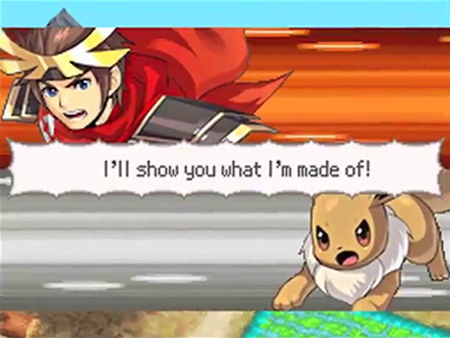 JM: The idea was one of the original concepts of X and Y when we began developing the games about three years ago. We had the concept of beauty, the concept of bonds, to deepen the relationships between people and Pokémon, as well as the concept of evolution. On the concept of evolution, we were literally just trying to do something new. One thing we were saying was “evolve evolution.” Evolution is one of the defining characteristics of the Pokémon games; however, if we were to just add another stage of evolution and make it a permanent thing, that would mean there is just now stronger Pokémon than the current highest evolution stage. It would make the previous Pokémon weaker and mess with the balance. So, when thinking about how we could do something new with evolution as well as make it a lot of fun for players, we came up with the idea of using Mega Stones and making Mega Evolution just a temporary change during battle. For example, in order for Mewtwo to Mega Evolve, it will have to hold one of two Mega Stones, since there is two different versions of the Mega Evolved Mewtwo, or it could hold other regular hold items. By requiring the Mega Stone to Mega Evolve, it prevents the player from holding any other items that may be useful in battle, like Leftovers, berries or a variety of other items. What this does is add quite a bit of strategic depth to the battle, because now you have to read your opponent’s strategy if they’re using a Mega Evolving Pokémon, especially in Mewtwo’s case because since there are two different versions and the types actually change for each Mega Evolution. It really throws your opponent off and they have to decide what move they will use based off of what they think you will do with Mewtwo. To trigger Mega Evolution, you have your Pokémon holding a Mega Stone and a button on the bottom of the screen will appear that says “Mega Evolution.” Tap it, choose a move and then on that turn the Pokémon will Mega Evolve. But you could also use strategies, for example, like on the first turn, don’t Mega Evolve and trick your opponent, make them think you have a different held item, and then on the second turn, Mega Evolve and confuse them. NWR: How does the team behind the games go about balancing both old and new Pokémon for competitive play? It seems increasingly difficult thinking of new moves, new Pokémon, new battle types and a new Pokémon type. JM: Every time at Game Freak, especially this time with Pokémon X and Y since we’ve added a new type for the first time in over ten years, we spent a lot of time and had a lot of people at Game Freak working on the battle balance spending their entire days look at all the combinations, doing a lot of experimentation and coming up with what we thought would be the perfect balance. We also have a lot of competitions within our company and players constantly playing and adjusting the balance as needed until we get to where we think is just right. Of course there is a limit to what we can do with our resources at Game Freak. So every time we release a game there’s always players making new discoveries and we’re surprised at some of the combinations people come up with. This time with Pokémon X and Y we feel that we got it right with probably the perfect balance. But of course, we’re not going to know until the games are released. That’s why I’m really excited to see the World Championships in 2014. See just what kinds of strategies players have. I think if we see a wide variety of Pokémon being used we’ll consider ourselves successful. NWR: On average how many Pokémon designs get thrown out over the development of the game? Have any rejected designs come back in subsequent generations and if so, which ones? Hironobu Yoshida (HY): With each game we are always working with a different theme with the Pokémon for the generation. And the designers themselves, depending on the time, they’ll have different things they’re passionate about and different things they want to try. Although we come up with ten times the amount of ideas for Pokémon that make it into a game, even the ones that get rejected don’t typically come back in future games because we’re trying new things and match the theme of the new game. The things we’re passionate about are different than they were in the past. Also, in terms of the design process, even once an idea is selected, even from that point the design changes quite a bit since it takes about six months to a year to finalize a Pokémon design. NWR: Follow up question- what’s the theme of this Pokémon game? What’s the theme to Pokémon X and Y? HY: In terms of creating the Pokémon designs, what we really focused on, this time especially, was giving each Pokémon, even more than ever, a defining characteristic or something that makes them stand out and be pretty unique. NWR: Have you ever thought about using the Wii U Game Pad for a new iteration of Pokémon Snap? JM: Not really speaking as Game Freak, but as part of the Pokémon brand, at the Pokémon Brand we’re always challenging ourselves to try new things, to come up with new ways to surprise our fans and come up with new ways to play the game. So with Pokémon Snap I don’t think doing the exact same thing on Wii U would be the right way to go. We’d really have to come up with some new ideas to make it surprising and interesting for the players. If we were able to do that, then yes, I think we’d have something to announce. NWR: Great to hear! If we can know, what’s next for you guys? Pokémon Z? The fabled Hoenn remake? JM: Of course at Game Freak we’re always thinking about what people want. I always get lots of request on Twitter to make certain games. Right now we’re still focused on Pokémon X and Y. It’s not released so we’re still unsure if it will be received well, if people will have fun playing. So right now we need to see the success of Pokémon X and Y before we move on to anything else. NWR: For what it’s worth, we’re looking forward to it immensely! NWR: Who chooses which Pokémon will appear in Super Smash Bros.? Does Sakurai go to you with specific ideas, or does he ask your team personally for suggestions? Can you explain the process? JM: I talk with Sakurai in real life and we’re connected on twitter so we’re in communication. With the first Smash Bros. game he was first designing the game and he came to us with a presentation. He wanted to feature Pokémon in the game as well. So he came to us first to get the approval that Pokémon could be featured in the game as well as asked our advice saying, “What Pokémon could be used in it?” We helped him select what Pokémon would be best fit into the mix and match the world of Pokémon. We’re thinking about what Pokémon fans around the world would really like to see the most. That’s the basis of our selection process. NWR: How come the Azure Flute was never made available in Diamond/Pearl/Platinum? JM: When we were first developing the games we thought about including it. I thought it would be fun. But once the game was complete and released, I changed my mind down the road and didn’t think it would be – I thought it would be confusing for people and kind of hard to understand how it worked. So I eventually made the decision not to distribute it. NWR: Our wrap up question – We’re really looking forward to this. I know both of us are. We would like to know, from anyone in the room, if there’s anything that they want to say personally to the fans. Anything we should look out for? Easter eggs, perhaps? JM: A couple of things. First, in regards to the story, this time we made it an adventure where you travel with four friends and really get to know them over the course of the adventure. I really hope people enjoy the story we have crafted and look forward to it. Another feature of the game that I hope people enjoy is the Mega Evolutions. This time you get the Red and Blue starters from the Professor and you can take those to their Mega evolutions, which I think people will enjoy. The Professor is researching what they call “the greatest mystery of the Kalos region,” which is Mega Evolution. So that’s why he gives you one of these three original starters. Also, since this is going to be a global simultaneous release on October 12, it’s going to be the first time, on a global scale, that everyone will really be connected with Pokémon. I want to look at it as a worldwide Pokémon Day. I’m really hoping people pick up the games and trade and battle with each other. One thing we did with the Pokédex this time was there’s going to be multiple Pokédex entries. So if you trade a Pokémon that comes from a different language in the game you’ll unlock that entry in the Pokédex for that language. So there is kind of another element to trading. HY: From a graphic design perspective Mega evolutions are something we spent a lot of time on. It was a big challenge to take these refined designs to a new extreme. Also, the move to full 3D the visuals are very different this time. I think players are really going to enjoy that. At the same time at Game Freak we’re big fans of 2D graphics as well. So there are some elements in there that I think fans of 2D will appreciate as well. NWR: Thank you so much for taking the time to talk to us; we’re both huge fans since the beginning! Masuda: Thank you! No, see this is the kind of stuff I like! First asking about Mewtwo during E3 and now this?! These are the types questions that should be asked every generation! Good job on this interview, that was a fantastic read! +151! Now then, when you all at NWR talk with Sakurai, please mention Ridley's high popularity and ask if he was considered for Smash this time around and if not why? I mean dig into that topic like never before!